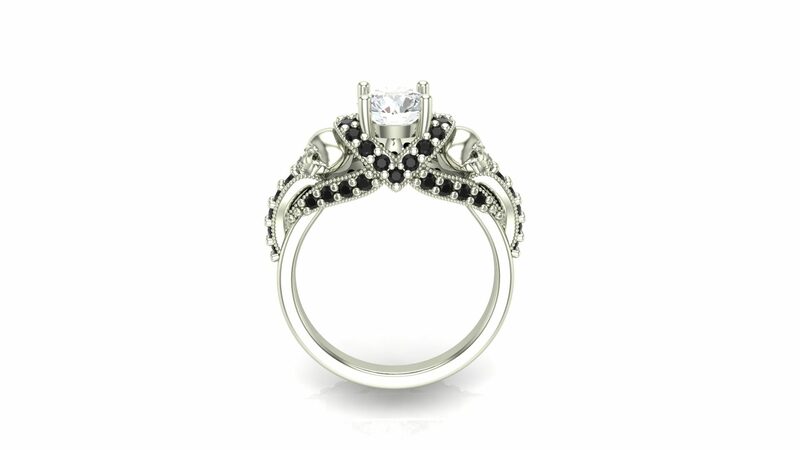 This stunning Gothic Skull Engagement Ring has a center stone flanked by two skulls. Twisting around the skulls are ribbons of white pave stones. 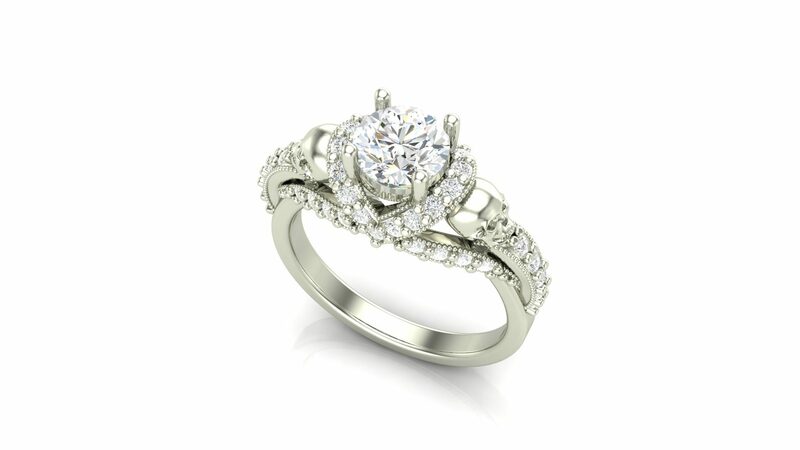 Delicate milgrain adorns most of the ring for an added design element. 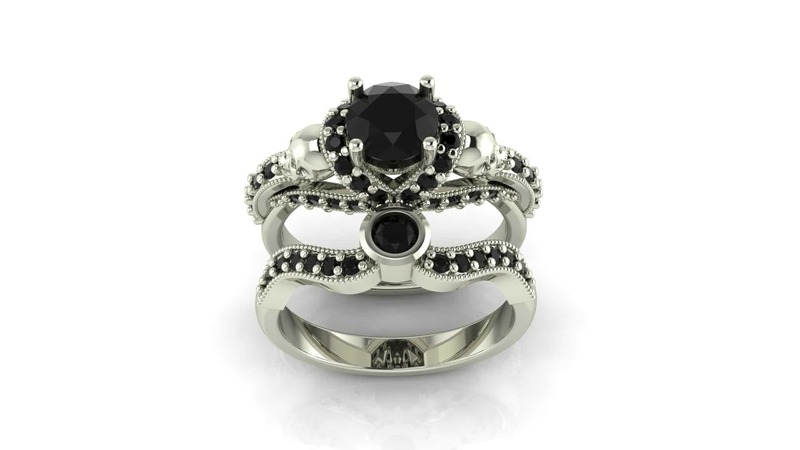 The center stone in this Gothic Skull Engagement Ring is 6mm and can be made as small as 5mm and as large as 8mm. Stones can be added to the eyes or other modifications are possible as well. METAL OPTIONS: Sterling Silver, Rose Gold, Yellow Gold, White Gold, Palladium, and Platinum. ACCENTS: Around 7/8 TCW. Due to the size (1.3mm-1.5mm), these can only be Diamonds, CZ, Emerald, Ruby, and Sapphire. SIZES: 3-16The starting price is for A Gothic Skull Engagement Ring in Gold with CZ. If you are looking for a skull band to go with this, you can see it HERE. Click HERE to learn more about custom jewelry, to see our portfolio, or to contact us about a Gothic Skull Engagement Ring. 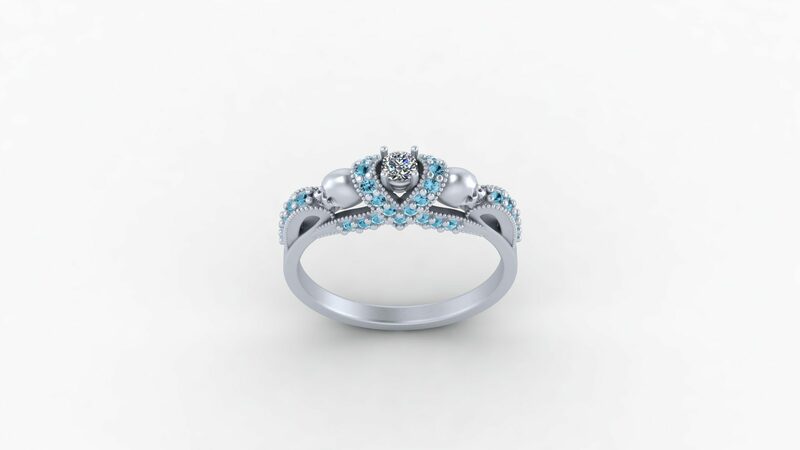 It can cost less than you think to have your very own custom skull engagement ring made just for you. Why hassle with the retail stores for boring and overpriced engagement rings?